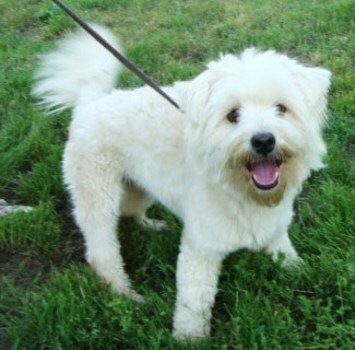 Jack is a 1 year old white male poodle/schnauzer mix. 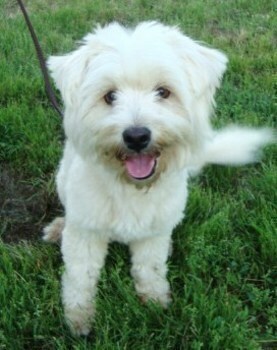 Jack has a great personality, he loves to play with toys, run around in the yard, or just cuddle up on the couch. 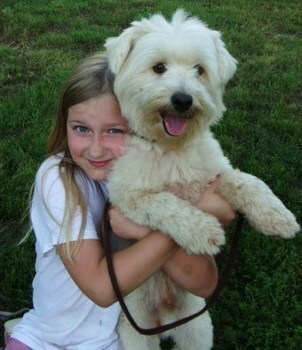 Jack came from a small town animal shelter where he was due for euthanasia. He is very easy to get along with and plays well with other dogs, he loves children, and is working on his crate training/housebreaking. Jack is full grown and will not get any bigger. He’s a great dog to have as a companion for the family. Jack comes up to date on shots, neutered, micro-chipped, heart worm tested, and on current heart worm preventative. If you are interested in adopting Jack please click the link above his bio, thank you!